Well , I never !! I've never driven an automatic transmission automobile. I have never made pointless posts just for the purposes of postcount. I have never been more active on another forum than on ASDF. Other forums I know are more active than here, so I post there more. However ASDF is probs my favorite! I have never asked questions, the answers to which I know or to which I can figure out on my own. I have never written an oxymoron in this game. you didn't answer mine, but i will answer yours: yes i have hated many people. Actually, I answered to you. In this game, when the next poster says "*drinks*", or something with a similar meaning, this means that they have done it. If he or she says nothing in response, this means that they have never done it. Therefore, my answer to your question is that I have never done it! 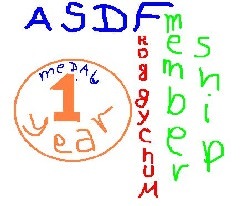 I have never written one and the same sentence, with one and the same word order and formulation, more than once, on the ASDF forum. i never denied doing something i have just done on record.